It comes to no surprise that pet hair is a great concern to almost all pet owners. 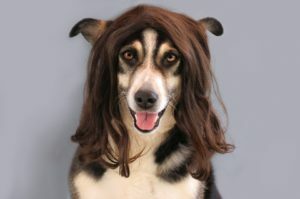 Pets are great but there hair becomes a hassle over time. It’s another burden that needs to be taken care of. Sometimes unexpected guest may come over or when you think you cleaned up the house you see a patch of pet hair – can be quite the annoyance. So with that in mind a vacuum seems to be the most effective, appropriate option to use for this situation. However, what are the best cordless vacuums for pet hair? Find out below (also check out the air purifiers for pet hair). Bissell Pet Hair Eraser – The Bissell cordless vacuum brings in pet hair, as well as human hair, from all areas (even the places where it’s hard to reach). It has a built-in motorized brush to efficiently get the job done. The hair, and whatever else was sucked up, then gets filtered by the dual-act filter. It comes with three attachments to adjust to the job needed. Shark Hand Vac – With the ability to clean all surfaces its rather quite powerful. Especially for a cordless vacuum. Can be charged with the wall mount stand and glows LED lights to indicate that it’s charged. Weighing at only 4.25 pounds it won’t be too difficult to carry around as it also has a rubber grip to be soft on your hands. Hoover Linx BH50010 – Charged by a 18 Volt Lithium-Ion battery the performance won’t be an issue. Containing a new type of Wind Tunnel Technology, the BH50010 can pick up debris and hair from deep under a carpet. You can switch the settings from hard floor to carpet (or vice versa) with the single click of a button. Dyson DC59 – It won’t get more powerful than this. With a V6 Dyson motor you will not be disappointed. When, or if, you purchase the DC59, the box comes with a charging dock, a mini motorized tool, the vacuum itself (of course), and more. Though it’s not the most inexpensive option, and not specifically designed for pet hair, it’s a great regular vacuum that will no doubt clean up pet hair. Black+Decker Cordless – The Black+Decker has a 3 stage filtering system! Most dirt, debris, or hair won’t escape after being sucked up by it’s high performance motor. It comes with the charging base as well to save you from having to do more purchases. Conveniently, a pet brush and Vac floor extension is also included to get various things done with one single vacuum.